A terrific afternoon was had by all at District Chairman Vicki’s Afternoon Tea. We were entertained by ‘Marvellous Milliner’ Simon Meanwell-Ralph, who found hats to suit every outfit in the room! Delicious sandwiches and home-made cakes were served to District 9 members and guests. The proceeds from this very enjoyable event went to the Chairman’s charity; Pancreatic Cancer Action. District 9 Inner Wheel members enjoyed a busy and inspiring weekend at the Rotary Conference in Cheltenham. Following a sandwich lunch, our Inner Wheel guest speaker Dr Helen Fry entertained delegates at the Inner Wheel session on Friday afternoon in the Centaur Room at the Racecourse. 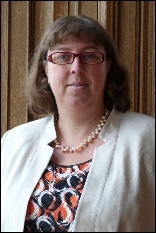 Her fascinating talk on ‘The M Room’ gave us an informative and interesting insight into intelligence and espionage during the Second World War which was enjoyed by all. District Chairman Kate Williamson brought greetings at the opening session on Friday. 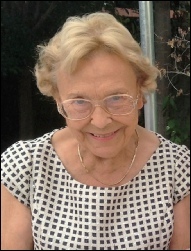 Ascot resident, June Martin MBE was presented with the prestigious Margarette Golding Award at an Ascot Inner Wheel event last week, in recognition of her continual and extensive support given to the Ascot and Sunninghill community since 1962. This award presented by International Inner Wheel in memory of our founder, has only been given to 299 women worldwide since its inception in 2001. 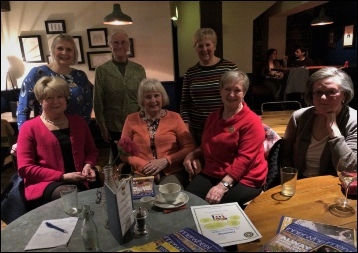 Ladies from Newbury have been meeting with members of the District 9 Membership Committee since January 2018 to talk about beginning a new Inner Wheel club in the town. All interested ladies welcome - if you do not want to eat, then come along just to share a drink and fellowship. Do come and meet us. You could make new friends and be part of this exciting new venture! District 9 members had a great time at the annual conference. 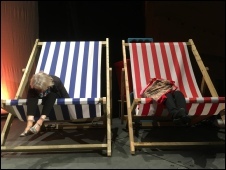 Can you name the two cheeky District Exec members who were so overwhelmed by the ‘Opera Boys’ performance that they felt compelled to climb on stage? !